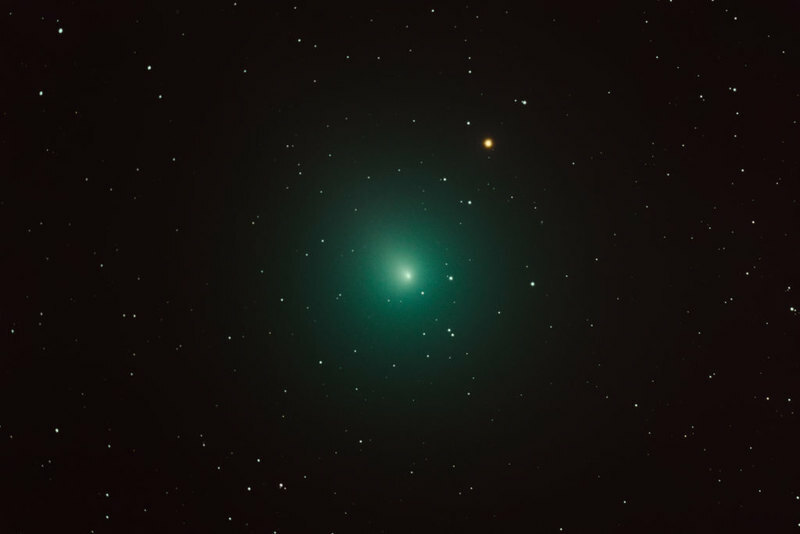 Comet 46P / Virtanen, which has become the brightest in the current year, was studied in detail with the help of ALMA (Atacama Large Millimeter / submillimeter Array) radio telescopes. Comet 46P / Virtanen, discovered in 1948, rotates around the Sun in 5.4 years. In December of this year, the comet reached perihelion, and on December 16 it flew very close to us – just 11.6 million kilometers from Earth: it could be seen in the sky with the naked eye. 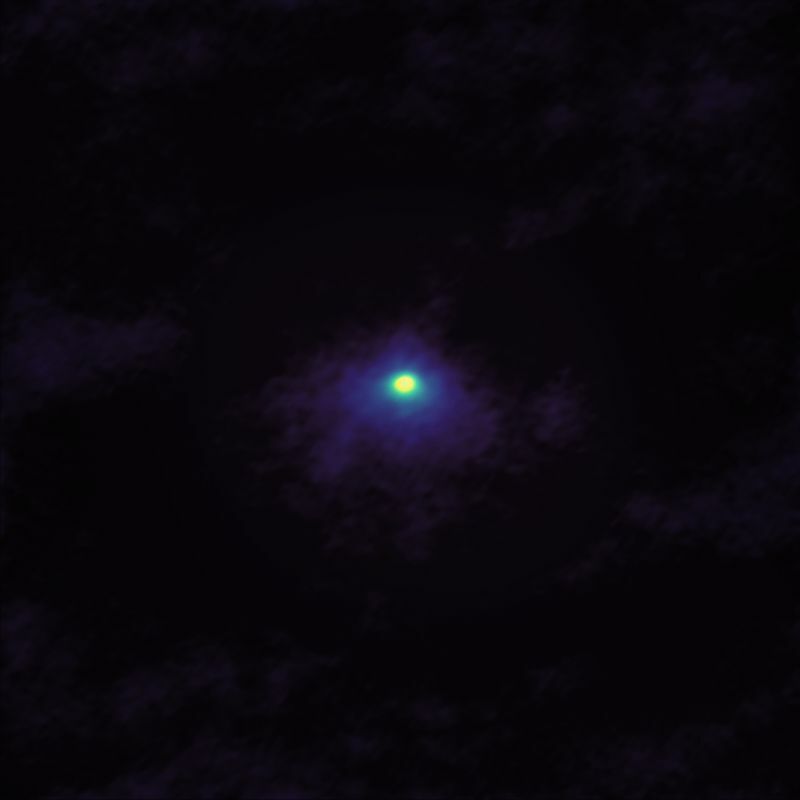 Astronomers studied comet 46P / Virtanen using the ALMA radio telescope system – based on observations made when the comet was 16.5 million kilometers from our planet. During the observations, the task was to build the distribution of hydrogen cyanide molecules, which was supposed to help learn more about the inside of the coma, the gas-dust cloud surrounding the cometary nucleus. As a result of observations, scientists found that the inside of the coma of comet 46P / Virtanen has an expanded, diffuse and slightly asymmetric structure. (It is noted that the outer part of the coma of this comet is too thin and unsuitable for detailed observations.) In addition, on December 9, astronomers made regular observations, during which they searched for more complex molecules in the comet 46P / Virtanen.